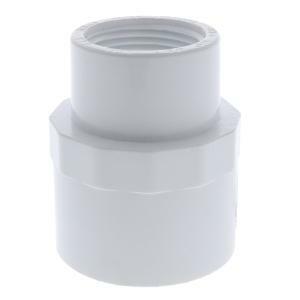 This durable Schedule 40 PVC Slip x FPT Reducing Adapter has a slip connection on one side and female pipe threads on the other of different sizes. It is commonly used to create a female pipe thread connection on the end of a run of PVC pipe. Slip connections require primer/glue.